Sandell, with co-driver Per Almkvist, traded stage victories all weekend with Higgins and his co-driver Craig Drew. 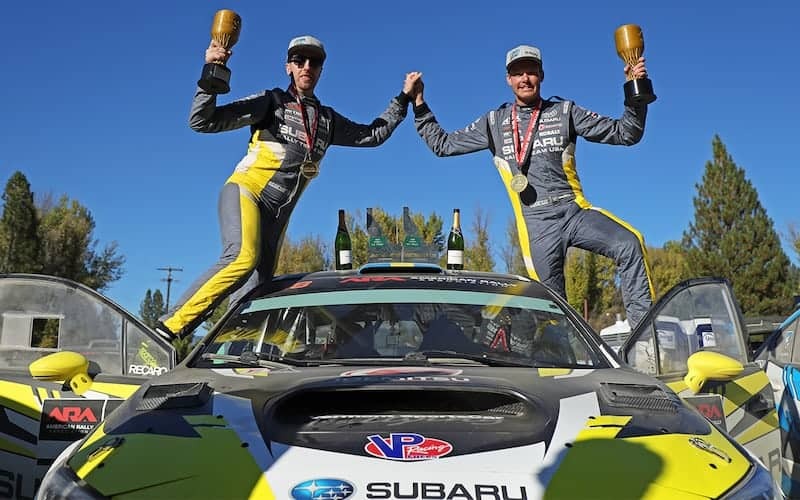 The dueling crews, each at the wheel of 2018 Subaru WRX STI rally cars, contended with extremely dusty conditions which slowed Higgins just enough on Sunday for Sandell to hold on for the victory. 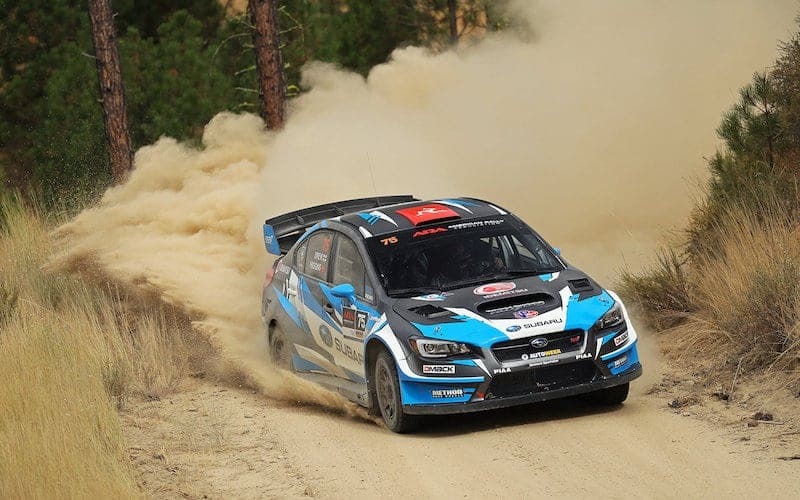 With a second-place overall finish in Idaho, Higgins and Drew mathematically secured the 2018 American Rally Association (ARA) Championship with one rally still to run. The Idaho Rally International was a new addition to the national ARA calendar this year, after running as a regional-level event for several years. As a result, most national-level teams – including the Subaru entries of Higgins and Sandell – arrived with no previous course knowledge or stage notes, making for a level playing field. The roads in and around Idaho City proved to be some of the narrowest and most technical rally stages ever run in the ARA championship, providing a big challenge for the drivers. Hanging dust was also a major factor throughout the event. 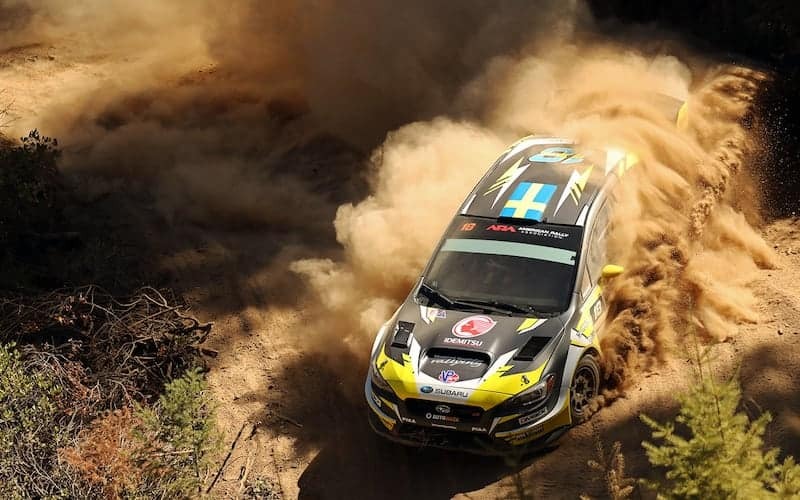 Sandell took a small lead after the second stage of the rally and then extended that lead on Sunday, as Higgins and Drew, running in second position on the road, were forced to slow down in places due to poor visibility. Although Higgins drove hard and fought back some time on the event’s final stages, Sandell was able to secure the win with a twenty-four second margin of victory. “So much fun!,” exclaimed Sandell at the podium. “I’m so grateful to Subaru for giving me the opportunity to drive this rally. Rally is really my roots and my passion, so being able to come off with a fair win is great,” he said. “This was a really rough and demanding rally with some great twisty roads,” explained championship winner, Higgins. “We struggled at times with dust and we had a big compression on a bump that nearly knocked the wind out of us in the car, so we are glad it’s over to be honest! Obviously it was good to seal the championship, since that was the main aim,” he concluded. The win in Idaho means Sandell is two-for-two in rally this season, after winning the Olympus Rally earlier this spring. Sandell’s focus for Subaru Rally Team USA in 2018 is Rallycross, but he has crossed over to join the team’s stage rally efforts when the schedule for the Americas Rallycross (ARX) series permits. As a former Junior World Rally Champion, Sandell has had a long and successful history in international rally competition. Higgins and Sandell will have a rematch next month at the final round of the 2018 ARA Championship at the Tour de Forest Rally, to be held October 6-7 in Olympia, Washington. Tour de Forest is another new event for 2018, but will be run in the same area and on similar roads as the legendary Olympus Rally, which Sandell won earlier this year.